We recently interviewed Beverly Samuel, NIFA liaison to EDEN. 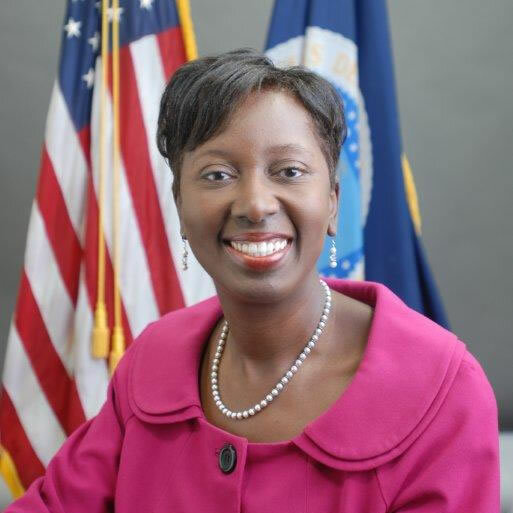 Beverly is National Program Leader, Housing & Community Living in the Division of Family & Consumer Sciences of USDA NIFA. Beverly, how did you become involved with EDEN? I was assigned to work with EDEN as a result of becoming the National Program Leader at USDA NIFA for Housing & Community Living. Disaster Education is a part of the program portfolio and becoming the Liaison was a natural alliance. Housing and Community Living programs identify issues, develop solutions, and share promising practices to promote sustainable housing initiatives, safe and affordable housing, air and water quality, energy efficiency, and disaster education. You’re a National Program Leader (NPL), Housing & Community Living in the Division of Family & Consumer Sciences of USDA NIFA. What do you do? I provide international and national leadership in advancing research, extension, and education. I execute leadership networking through participation on federal task forces including the President’s Taskforce on Environmental Health Risks to Children, Federal Interagency Committee on Indoor Air Quality, Federal Healthy Homes Work Group, and the Federal Radon Action Taskforce. Collaboration on these taskforces has resulted in developing policy and outreach information that have national impact. I also serve on the Coalition of Organizations for Disaster Education (CODE) and a Federal Emergency Management Agency work group to collaborate around disaster preparedness. I am Chair of the State Energy Extension Partnership (SEEP) and have worked with a team to facilitate connections between USDA NIFA, U.S. Department of Energy and USDA Rural Development through a MOU. The purpose is to promote joint collaboration between State Energy Offices and Cooperative Extension for acceleration of adoption of energy efficiency technology. I am the NIFA Liaison to University of Connecticut for their Plan of Work and Annual Report of Accomplishments and Results for Extension and the Agriculture Experiment Station. I Co-Lead a NIFA Continuous Process Improvement project to streamline the grant award grant process, which is being piloted and will be implemented in FY16. I provided national leadership in working with Montana State University (MSU) on development of the Master Family & Consumer Sciences Volunteer program, which modeled after the Master Gardeners Program. I also serve as the NIFA liaison to Energy Specialist, Housing Specialist and EDEN. I manage the Smith Lever Special Needs Grants and secure funding through Interagency Agreements to support for the Healthy Homes Partnership that currently involves eight states in a pilot project. I coordinate with Purdue University for EDEN funding through a Cooperative Agreement for the Food & Agriculture Defense Initiative funding. I manage capacity projects, which include a number of Multi-State Research Projects. I serve as a liaison to several eXtension Community of Practices. Finally, I work with Visiting Scholars to address critical emerging issues and am currently working with a team on establishing an EDEN model in the Philippines. Most importantly, my work is cross cutting and addresses a variety of critical issues facing families and communities. What has been your favorite part of being the National Institute of Food and Agriculture Liaison to EDEN? My favorite part of being the Liaison to EDEN has been visiting sites to see the examples of grant project implementation and attending workshops that highlight the projects. Also, when the Office of Secretary staff traveled to North Dakota recently, I was able to highlight examples of Special Needs grant projects, National EDEN Issue Leaders: Flooding Educational Support led by Ken Hellevang and the Winter Storm App led by Becky Koch. It is very rewarding to highlight the work that EDEN delegates do. It is also very rewarding to hear from partners the difference that the funding has made in their communities. Last, I enjoy reading the Final Technical Reports from all of the grant projects. In addition to your other work, you are responsible for the Smith-Lever Special Needs Competitive Grants Program. What advice do you have for delegates interested in applying for 2015 funding? My advice to delegates interested in applying for this funding is to review the RFA thoroughly and follow closely the suggested guidelines for what should be included in the proposal. A panel of experts that include EDEN delegates review the grants and make the recommendation for funding. Matching funding is required from the applicant institution at 100%, even if there is collaboration with others. There is no exception for this match requirement. This funding is limited to 1862 land-grant universities, but collaboration may occur with 1890 (Historically Black Colleges), 1994 (Tribal Colleges), and/or Hispanic Serving Institutions. Projects that have the ability to be scaled up nationally or have a multi-state regional scale are more favorable. Also, applicants should allow plenty of time for developing the application, including ample time for submitting the application. From your national perspective, what advice in general do you have for EDEN delegates? Attend the National EDEN Annual Conference. The networking and collaboration that results is invaluable. Collaborate to make a difference in your state/regionally/and nationally. Maintain your State EDEN website with up-to-date information. Apply for USDA NIFA Smith Lever Special Needs Competitive Grants. Seek other funding opportunities to expand or enhance the work in your state.